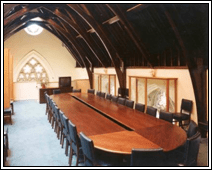 Dublin Tourism Centre – Duggan Brothers Ltd. 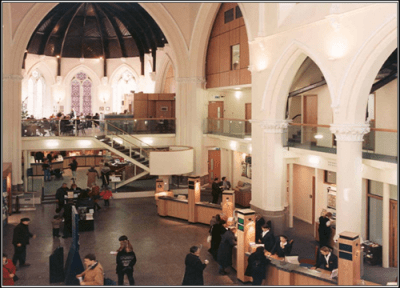 The award-winning refurbishment of St. Andrews Church, Suffolk Street to a new H.Q. for Dublin City Tourism, was completed in six months and involved piling and sub-structure works to carry three and four storey steel framed structures within the side aisles, transepts etc. without disturbing the main feature or fabric of the existing building.